Pohala Macha(Small Fish) Fry is an Oriya side dish recipe wherein fish is cooked as a whole and not cut into pieces. It tastes good when served with Pakhala Bhatta(Water Rice). 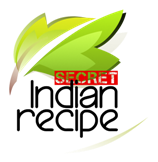 Adv.Nibedita S.Nayak's Secret Indian Recipe ! Wash the fish and marinate with 1/2 tsp of haldi and salt. Soak mustard seeds, garlic, green chilli with 2 tablespoon of water for 5 Minutes and then grind it into a smooth paste. Add 1/2tsp haldi powder, 1/2 red chilli powder and remaining salt to mustard Paste, Mix well and keep aside. Heat oil in a Pan. Fry the marinated fish lightly on both the sides and keep aside to cool down. Take the fried Fish and dip it in the Mustard Paste. Heat Oil in Pan. Carefully put each fried fish dipped in Mustard Paste, Take it out and fry it till it turns golden brown on both sides.